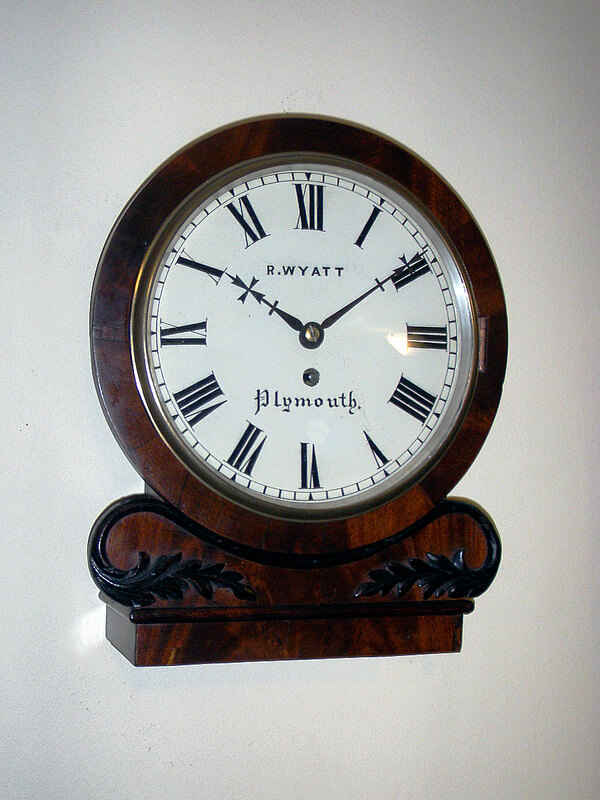 This is a 10 inch single fusee dial clock signed on the painted dial by Robert Wyatt of Plymouth, England. 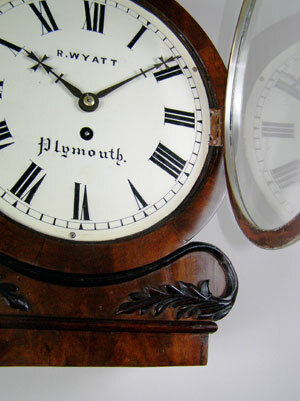 The clock has Roman numerals, cross-tipped hands and heavy gut and fusee movement of eight-day duration. 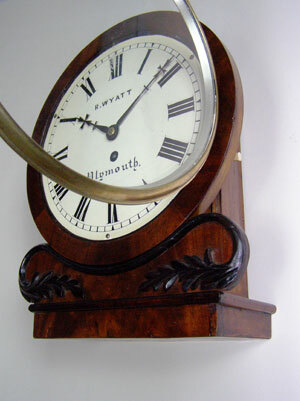 The mahogany case has applied carvings and moulding below the dial surround. The clock has a flat base to either be used as a bracket or wall clock.